(4) It is dependable and trust-worthy. In summary, the Onishi does what it's supposed to do 100% of the time and it does it fantastically well. It is a video of the late Mr. Kiyoshi Kato of Kato Seisakusho Co., a master artisan pen-maker, toiling away in his workshop. I loved the intricacy and delicacy that went into the making of every single one of his pens. There was also a rustic charm that immediately endeared me to their Celluloid pens. It came from seeing Mr. Kato, hunched over his lathe, expertly spinning out barrels in a matter of seconds. There and then, I made up my mind: I was going to get one, no matter the cost or inconvenience. If you know anything about Japanese people, you'll know that they are awe-inspiring craftsmen. They are fanatically dedicated and they take a lot of pride in their life's work. The results of which show through in the final product. In my lifetime, I have come to trust and respect products labelled with the words "made in Japan", especially anything handmade. From the first moment I held the Onishi, I was not disappointed, in fact it surpassed all my expectations. It would be a good time at this juncture to remind myself (and you my readers) that the nib and feed that comes with the Onishi is actually German-made; Schmidt (see picture above). My fascination with the Japanese craftsmanship therefore pertains to the look and feel of the Onishi only. I started scouring the web for more information on "Kato Seisakusho" pens, however I was saddened to learn that Mr. Kato had passed away sometime in 2010. I also learnt that the Mr. Kato's legacy and workshop had been passed on to Mr. Onishi, and their fountain pens were now sold under the "Onishi Seisakusho" moniker. I did a search on Rakuten (click here to see all the search results, there are many different finishes available! See picture above) and placed my order through vendor AT-N Nagasaka Ltd. I paid S$108 (JPY 9,524) for the pen (which came with a free Schmidt converter - see picture below) and an additional S$10 (JPY 900) for Japan Post's priority postage; EMS or Express Mail Service.I pause here to also take this opportunity to comment how efficient and fast Japan Post's EMS is, it only took about 6 days for the pen to reach me here in Singapore! 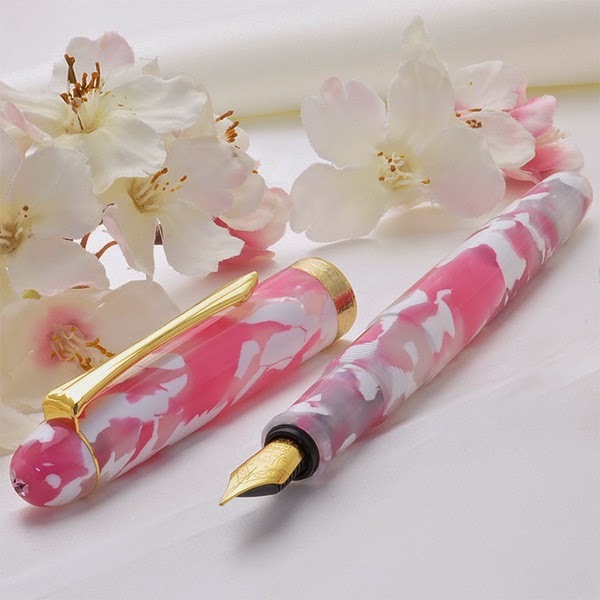 For the more price conscious, please note that on Pen-House LIMELUX Co. Ltd.'s page the same pen, listed as the "850 Series" Celluloid Fountain Pen, is going for S$101.58. 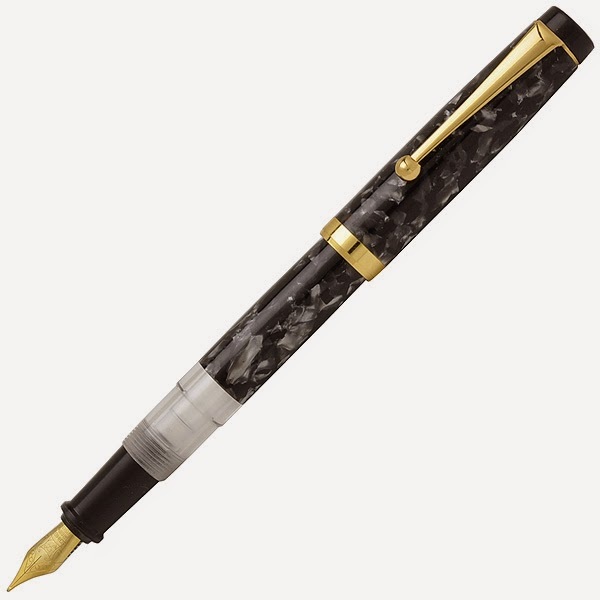 There is also another version of the Celluloid Pen with a clear acrylic window to monitor your ink levels (click here to see the "800 Series" Celluloid Pen - see picture below). Before I get into the review proper, please also check out AltecGreen's FPN Thread / Review of 2 Kato Seisakusho pens. In AltecGreen's post, besides the awesome photos, he goes into a great amount of detail of his impressions and observations of his Kato pens. Overall, I agree with AltecGreen's post, in that these pens may not offer the greatest or cleanest of finishes. This might lead some people to even describe the Onishi as being "cheap". However, I find that the blemishes and irregularities are part of the charm of having a genuinely "handmade" pen (as with any other handmade object). If this appeals to you, then I would highly recommend getting it, and even though the Onishi can indeed feel "cheap" at times (I attribute this most to the Onishi's light-weight) I have never once thought that it was not worth its price (i.e. 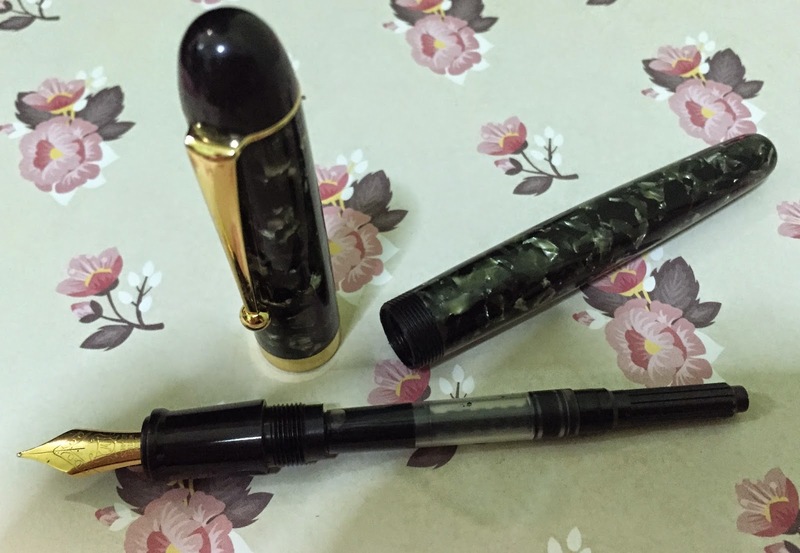 not value for money), bear in mind that I too currently have a self-imposed rule not to spend more than S$100 for a pen, and that therefore getting the Onishi was a huge deal for me personally (it was a birthday gift to myself). This says a lot about the Onishi; as in comparison I have bought much cheaper pens which eventually made me feel like I had completely wasted my hard-earned money in acquiring it. If you've ever experienced that feeling with a certain pen in your collection, you'd know that this sours your affinity with the pen and detracts significantly from your writing experience with that particular pen (for me, that would be my Parker Vector). Obviously, this was not the case with the Onishi. 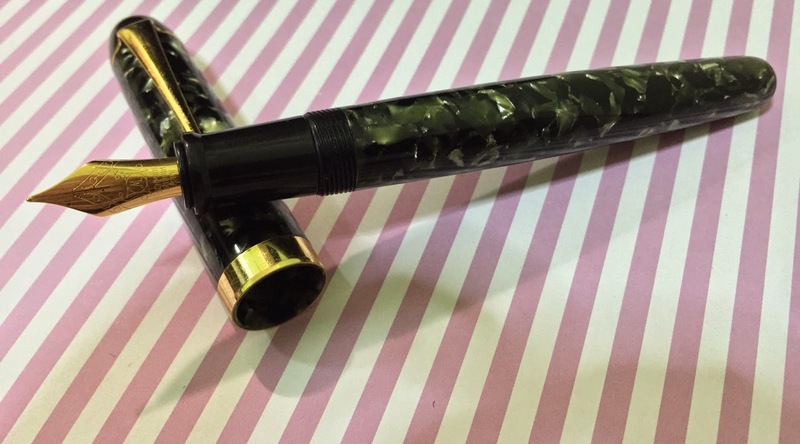 The Onishi that I got came in a "green" marbled Celluloid. Under bright lighting, it sparkles and gleams. Under close inspection one can also study the depth in the layering of the different colours and "flakes" of the Celluloid. Needless to say, the Onishi looks splendid. The tip of the cap is glossy black, there is also a small black tip at the end of the barrel. The clip is gold-coloured and there is also a band of gold at the end (see picture above). As for the "feel" of the pen, as I mentioned earlier the Onishi feels very "light", and this contributes to it feeling "cheap". Besides this, there were two more things which I also took issue with. First was that the converter tended to rattle in the barrel and made a "clacking" noise. This can be quite worrying as it gives the (slightly paranoid) user the impression that the converter is loose and that the ink could quite possibly leak even though that's not the case at all. Second, the pen being made from Celluloid, had an extremely strong "chemical" smell. As I have read, the smell comes from the Camphor and Nitrocellulose used to make the body of the pen. 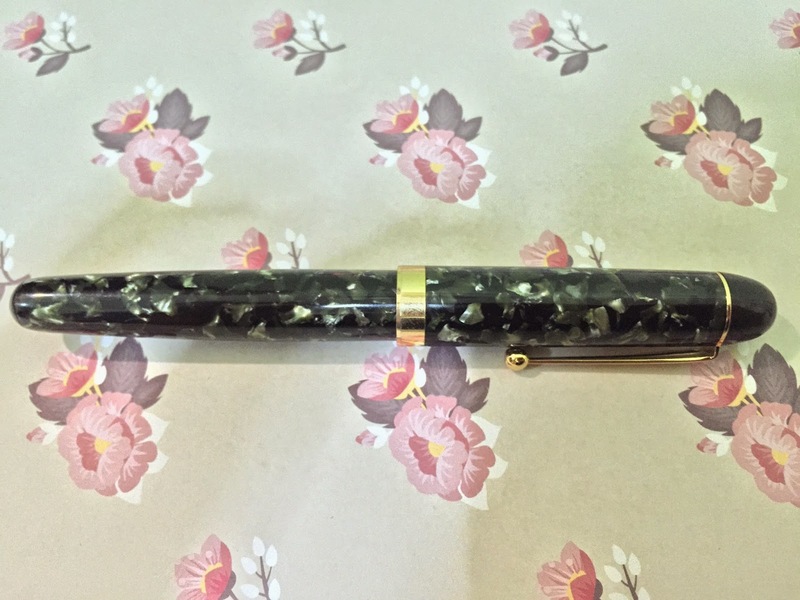 The smell does fade over time, and I had been advised by a senior pen collector to give the Celluloid parts a wash and to thereafter let it dry by letting it "bask" in the sun for about half an hour (not too long or the heat might cause the Celluloid to warp). After doing this, and after having used the Onishi for about 2 months, the smell is almost completely gone (only a faint whiff from time to time). I have absolutely no complains about the way this pen writes. In fact, as I had mentioned, this pen is currently the smoothest writer in my collection at the moment. I did note that this was the "same" type of Schmidt Steel Iridium Point nib as the one that came with the Muji Aluminium Round Fountain Pen (see my previous review here), but the writing experience is completely different! The Onishi Schmidt nib is springier (and allows for some flex and line variation) and is also much smoother than the Schmidt nib that came with the Muji Fountain Pen. I love the Onishi. I love how it looks. I love how it writes. I love that it is handmade and that it has the history of a legendary pen maker behind it. This has therefore become one of the invaluable heirloom pens in my collection. Thanks for the review, I'm looking for a reasonably priced Japanese pen and this seems to be it.